Lunch box beeding machine, cycle time- 10 nos/min., 3 hp motor, pressure- 35 bar. 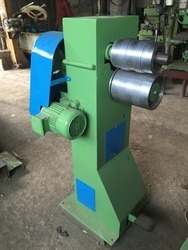 Being a customer oriented organization; we are deeply engaged in offering a wide array of Can Beading Machine. Suitable for beading of cans. The ensures avoidance of paneling / damage to the can body after sterlisation Transportation.